Mulch provides vast benefits to any individual who has a garden containing some form of plants, flowers, and alike. After all, mulch can be used to stop the growth of weeds. It can also help to control the temperature of soil and ensure unpredictable weather doesn’t affect your plants. These are the general benefits. However, there are several different types of mulch. Because of this, each type of landscape mulch has its own unique benefits too. Read on to delve into the different types available and the advantages associated with each one. First and foremost, let’s begin with wood or bark chips. These are highly popular because they are pleasing on the eye. They can be used to create a feature by experienced companies like Tree and Lawn. Plants surrounded by bark chips can look particularly striking. Nevertheless, the attractiveness of this option is not the only benefits associated with wood or bark chips. In addition to this, wood is very slow to decay and therefore you need not worry about frequent replacements. 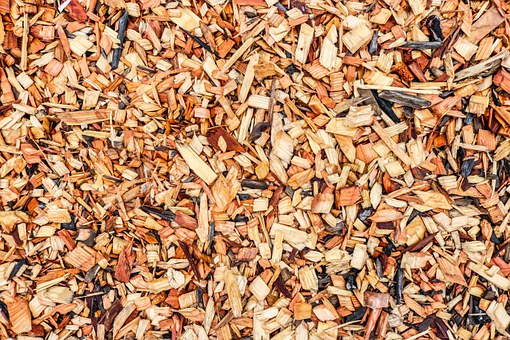 Moreover, it is one of the heavier types of mulch and thus it does not move easily. This is particularly beneficial in areas whereby wind or unpredictable weather is a concern. Aside from this another popular material for landscape mulch is grass. Grass clippings tend to be used by those who are looking for a cheap option. After all, nobody wants to spend extortionate amounts of money on garden mulch. Not only this, but it is extremely easy for you to get your hands on grass clippings too. This makes the whole process a lot more convenient if you go for this option. If you have your own composter then the answer to what material to use for mulch is staring right at you. Compost is another option and it is one that is highly recommended. Of course, if you have your own composter then this material will be free for you which is always a great benefit. Nonetheless, another extremely beneficial point is the fact that compost adds nutrients to the soil. Therefore you can rest assured that your plants will be getting all of the healthy nutrients they need to survive and grow healthily. Aside from the points already mentioned you can also choose to use gravel for your garden. Similarly to bark chips, a lot of people like this option because it looks good and thus can add style to your outdoor space. In fact, the benefits are very similar in general. This is because gravel is also a material more likely to stay in place. Moreover, you won’t need to replace gravel frequently either. And last but not least, the final landscape mulch material worth considering is decaying leaves. The main advantage associated with this material is the fact that the leaves help the soil to hold in moisture for longer and therefore healthy plant growth is stimulated. Not only this, but they smother weeds really well too. As you can see there are many different types of garden mulch available to you. all possess their own benefits and therefore you should select the material that will look garden in your garden specifically and is convenient for you to get your hands on.